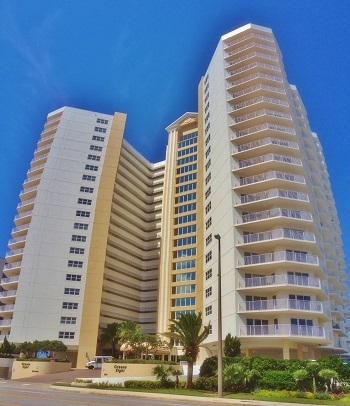 Oceans Eight condominiums are available with direct oceanfront units as well as units with river views. Two and three bedroom units with airy floor plans are available with large sliders and lots of windows to view the Atlantic Ocean. As you enter Oceans Eight you will be impressed with the luxurious lobby and 3 sets of elevators. Oceans Eight runs perfectly and is well maintained by on-site management and a maintenance staff. This condo community is close to Publix Grocery, drug store, banking, golf, tennis and restaurants. 2 pets with a combined weight of 20 lbs are allowed.